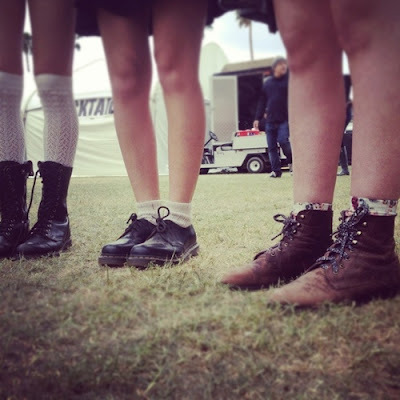 So much of Coachella is the people and much of that are the threads they wear!! I know I’m going comfy and light by sporting sundresses, micro shorts, sunnies and Toms. I have no idea how some of these gals wear sandals and heels, those are major don’ts for me to be cozy at this festival. It’s in a desert and completely dusty, shoes are a spoil after this gig. Doesn’t Anne Hathaway’s beau look exactly like Ryan Gosling here!!!? 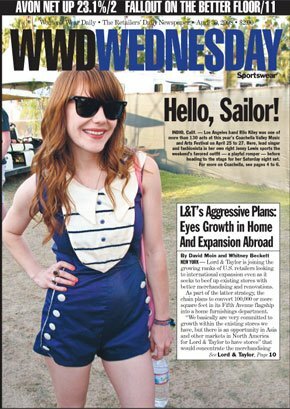 Jenny Lewis bares a mini jumper at Coachella 2008. 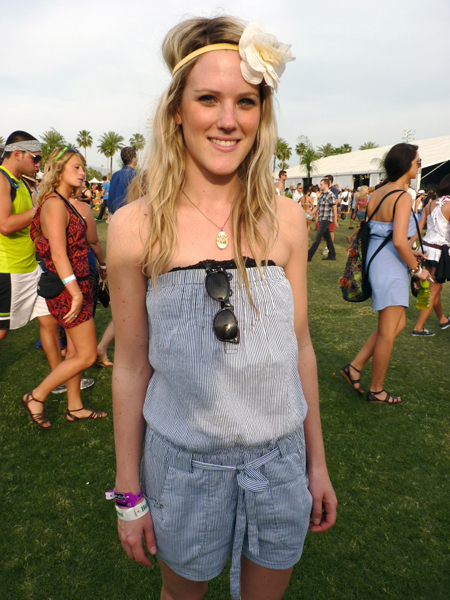 Here are some past posts and comments I’ve made about fashion and Coachella. AND THEY’RE PLAYING DAY 1! YIPEE. 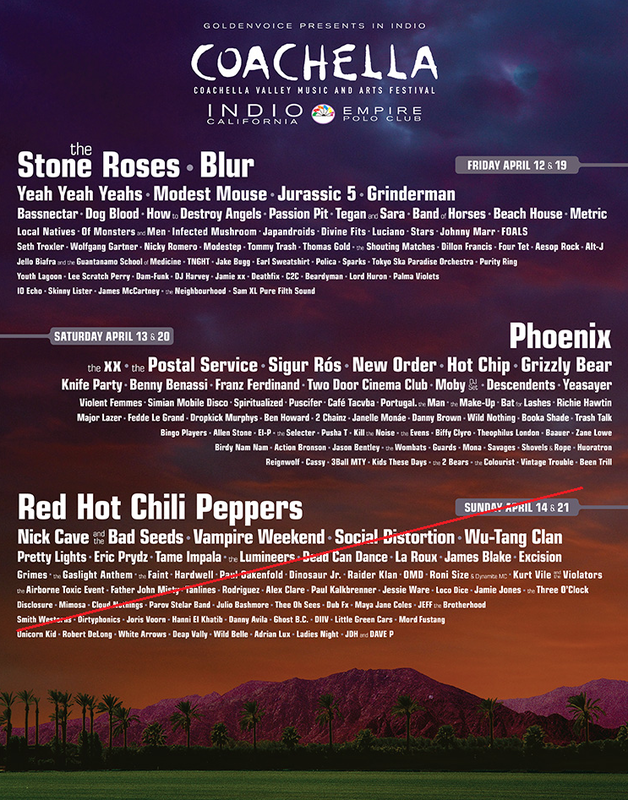 Coachella 2013 is going to be stunning. This is pretty amazing. 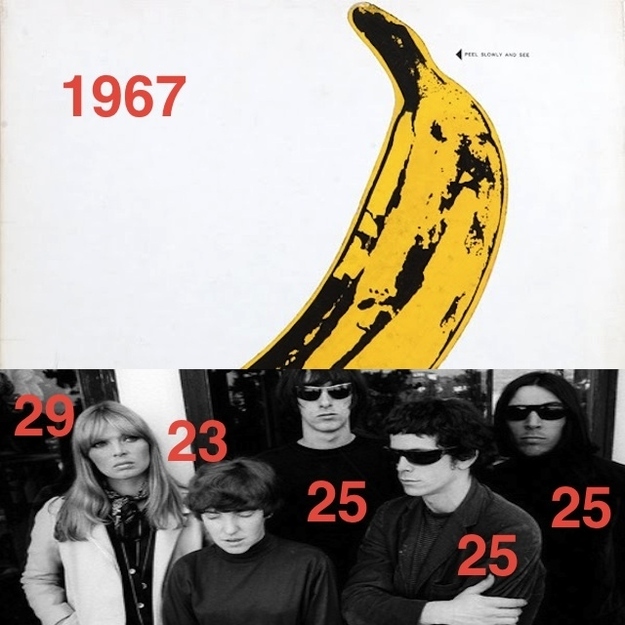 Someone on Buzz Feed put together a series of big albums and the age(s) of the artist when they released them. 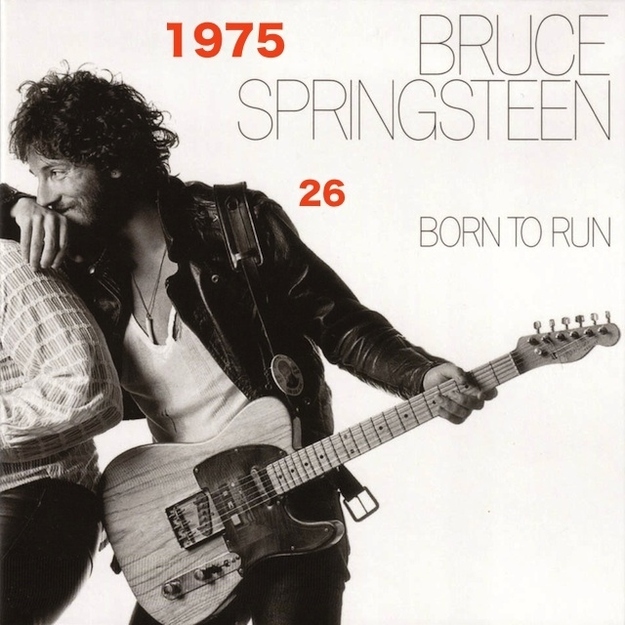 It’s pretty wacky to think Springsteen was my age when he put out Born to Run. Check out the rest here, I never wanted them to end. While I’m at it, I am going to put a plug in for Bon Iver’s drummer S. Carey, who showed me one of the most truly lovely moments of my Summer of 2012. 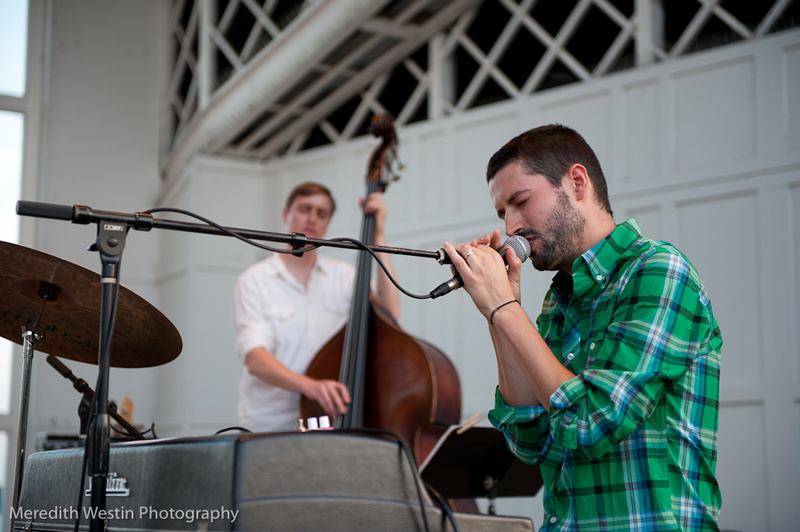 He played at the Harriet Lake Park in Minnesota at no cost to anyone who cared to watch. It was a lovely summer evening in August and I dragged my Mom out, who had no real interest in my music but was open to anything I wanted to do. 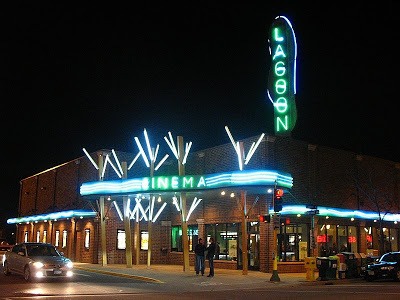 We later then went to Cheapos and later the Lagoon Cinema to see Celeste and Jesse Forever, where I certainly experienced heaps of Mid-Western love. Guerrilla videos are big. A few years back I found myself completely infactuated with the charm and randomness of the Black Cab Sessions and La Blogotheque. I think Canadian collective Southern Souls has done a really nice job of capturing that. ON a side note, my pal Dan has started up his own sessions, delightfully titled Pinball Sessions. I can’t get enough of this English band called Daughter. I am certain I’ve heard this song before, but it’s absolutely stunning, I can’t get enough of this tune. Alright, so I saw this film with a great pal Natalie when it first came out. I didn’t expect to feel all that I did and that was mostly depressed. Being a twenty-something graduate student like the main character Lola (Greta Gerwig) was less than inspiring and even a bit deprecating. Despite the flurry of feelings, I watched the movie for a second time because it’s now on Netflix (!!). I felt like I got her realization and connection with the word “obsession” and I cannot help but think to the very bottom-of-the-barrel tune “All I Need” by Radiohead. 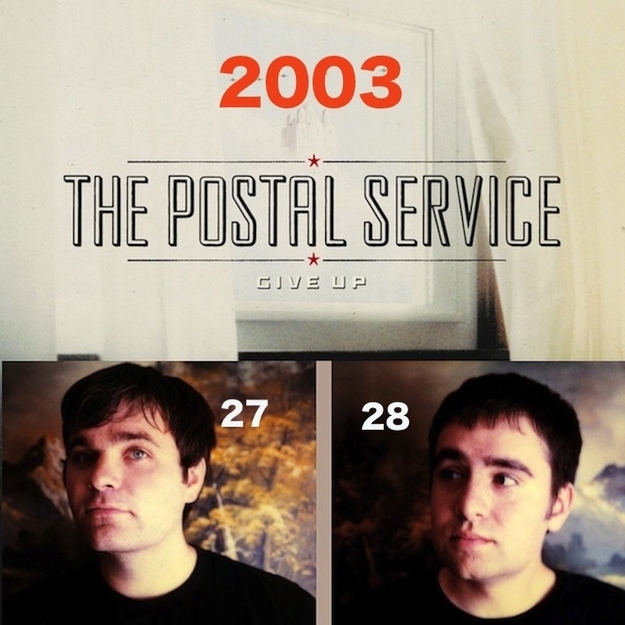 Easily a household favourite for the very clear chorus yelp, “You are all I need.” However it took a pal to emphasize the line “I am an animal/trapped in your hot car” for me to feel something other than the chorus. Yorke and co. illustrate a depressing, sad person that I feel Lola in Lola Vs really sunk to. Heartbreak and sadness is something you cannot appreciate until later. 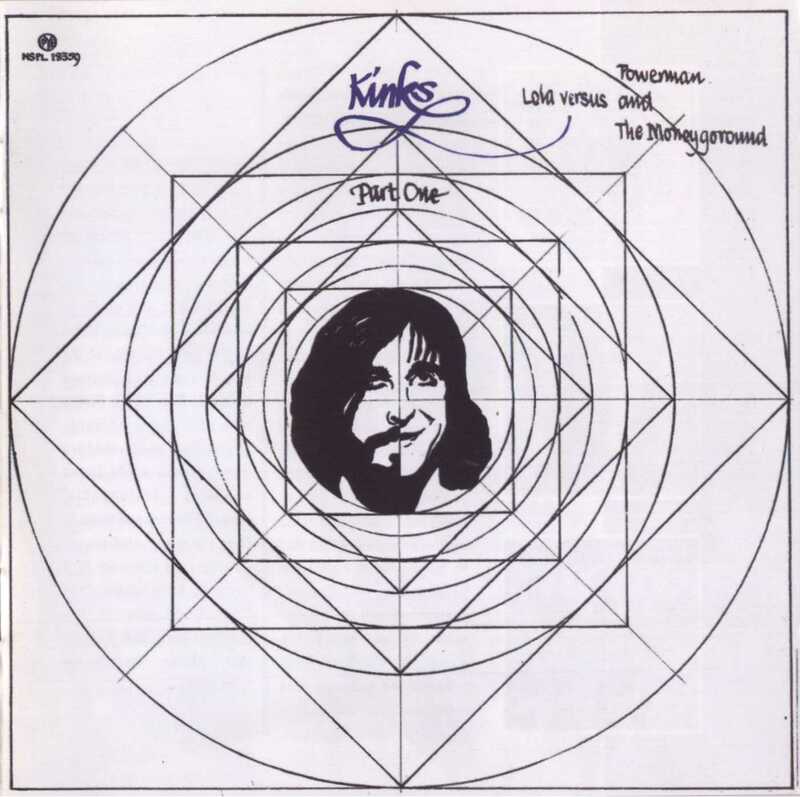 Now, I’m really stoked I made the connection to the title of the film Lola Vs. which is undoubtedly a nod to the Kinks album by a similar name Lola vs. Powerman vs. the Money goround. Nailed it! You know those moments where you just lose yourself? You just feel so out of place and you know that everything your doing and feeling just isn’t you. Well, this it folks, I’m there. Now, what I typically do is throw on a good song, watch a TV show I’ve already seen or take a hot shower. This is the song for the evening, thanks Lena Dunham commentary of Girls episode 9 of season 1.